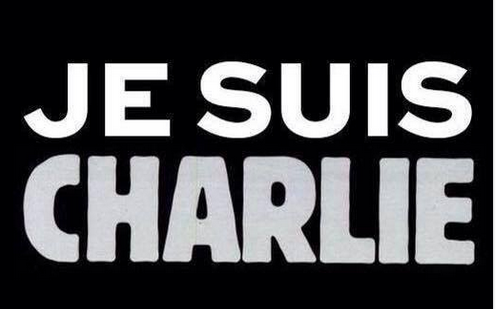 A sad day for freedom of expression. In my opinion, and many may disagree with me, Truth that does not tolerate skepticism , close examination or ridicule is nothing but a lie affirmed in a very loud voice. Those who believe in such “truth” are lying to themselves, and those who claim that they alone speak for God, or need to use weapons or insults to defend God against other humans, affirm that their god is too weak to speak for himself or defend his own. Absolutely! I was watching BBC World News off and on yesterday (since I don’t watch any of the American cable news channels) and in one interview someone was talking about the tension that exists between freedom of expression and freedom of religion. And I thought to myself, what an amazing thing to say! I mean, I know it’s true what this person was saying, yet it always shocks me that such a tension should exist. If such tension or conflict exists between freedom of expression and freedom of religion, it says something about religion, not about expression! And what it says about religion is not a reassuring thing. Freedom of expression trumps freedom of religion in my opinion. And let’s also admit that “freedom of religion” is often used by religious people to elevate their own religion and keep others from freely expressing theirs. We see this especially among the Christian Right in the United States. The only difference between jihadists and Christian fundamentalists in this country is that the religious views of “Christian” killers in this country (Tim McVeigh, the various anti-abortion bombers and killers) get a much more guarded coverage in the media, lest the “Christian” sensibilities of Americans be insulted. I think it all comes from one’s view about the nature of Truth: namely whether truth ultimately exists or it doesn’t. If one believes in the existence of truth, then opinion about truth does not matter. This is regardless of our mental capacity to comprehend truth. Any amount of examination, ridicule and attack will only expose weaknesses in one’s thinking and not in the metal of truth. So, (Surprise, Surprise!) you and I agree on this. Give me an honest atheist , truly seeking truth, over a dishonest believer, any day. On your comments about so-called “Christian” militants: What amazes me is that for those who believe in the “pillar and foundation of Truth” as Paul calls Him, we have some that would rather protect their opinion that expose themselves to the sunlight. As to those who talk about religious freedom versus freedom of expression, or those who are incensed at seeing a Caricature or hearing an argument, a sermon or a joke, I think it betrays the fact that they are not real believers, but trade in the insecurities and fears of other people, especially in their fear of death or their fear of God for their own benefit. Consequently, whenever these people face an argument or a joke that may expose a weakness in their belief system, they fear that the facade will finally fall off, and people will start to cry out: “Behold the real agnostics, Behold the real atheists”.